Introducing “Champagne” our beautiful Eiffel Tower Vase centrepieces. 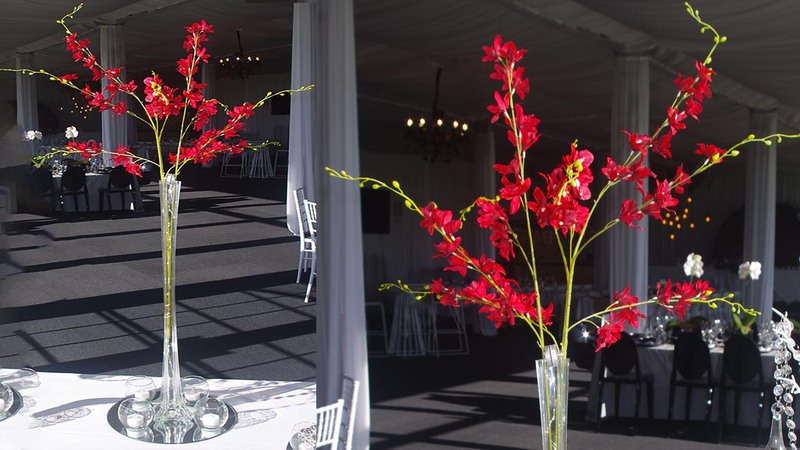 Featuring a sparkling string light wrapped around three gorgeous Long Stem Red Orchids. Matched with 4 votive style tea light holders and accompanying string lights, set upon a round or square mirror base. Reserve your Tall Vase Centrepiece today!